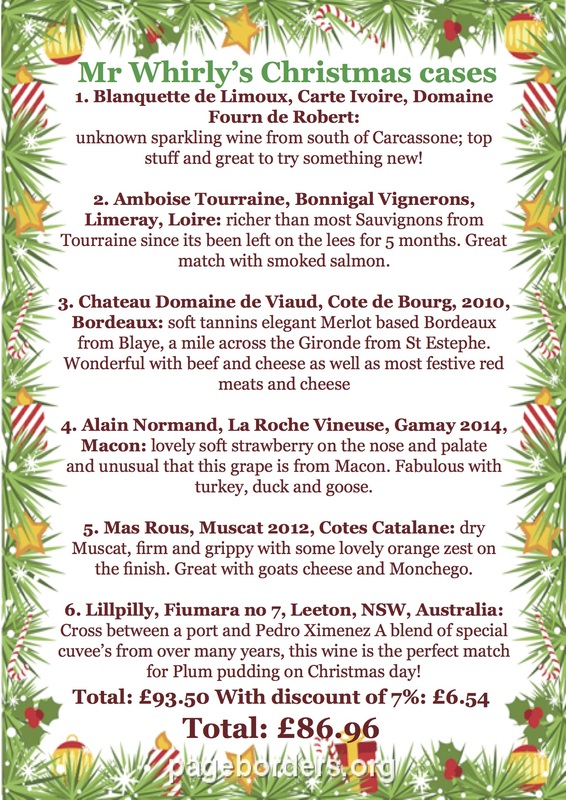 Its December, its the wonder of Christmas and Mr whirly has the impossible task of choosing a wine of the month! With so many new delights in this month from all over Northern Italy, my first wines from Barolo in Piemonte, the home of premier red wine region in the North of Italy and the imperious Nebbiolo grape: Amarone Magnums from Bonfanti in Valpollicella as well as some lovely Valpollicella Ripasso and from Friuli a range of new vintages from Perusini including Magnums of Merlot, the choices are infinite and it makes the wine of the month choice virtually impossible. 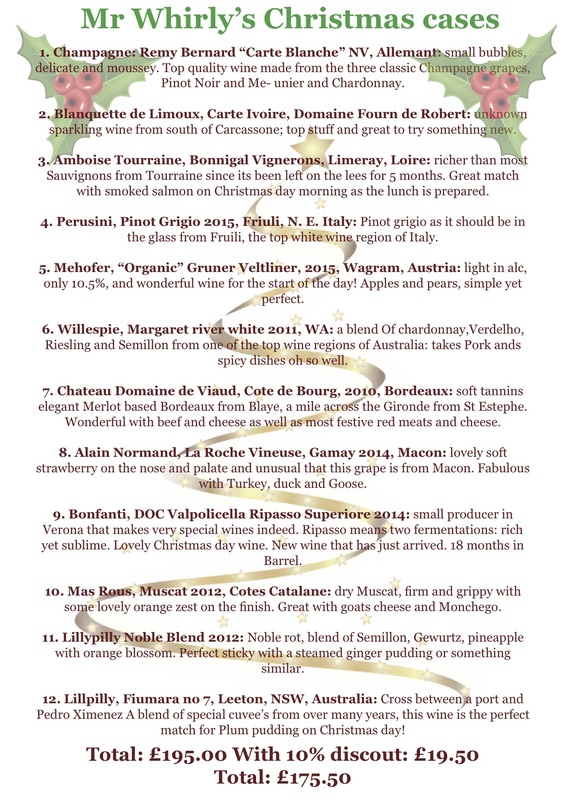 However I am going to tell you all about these new wines in a Christmas wine post this week so lets leave these Italian jobs for a while. Lets take a step back and offer you something a little bit different and unknown. Its tough out there, for many people so this year I have not focused on Champagne for my Sparkling for the festive season but some delicate “Blanqette de Limoux” from close to Corbiere in the deep south of France not far from the Spain border. ” Domaine de Fourn” make some really special wines from the little known Mauzac grape blended with a little Chenin Blanc about 3%. 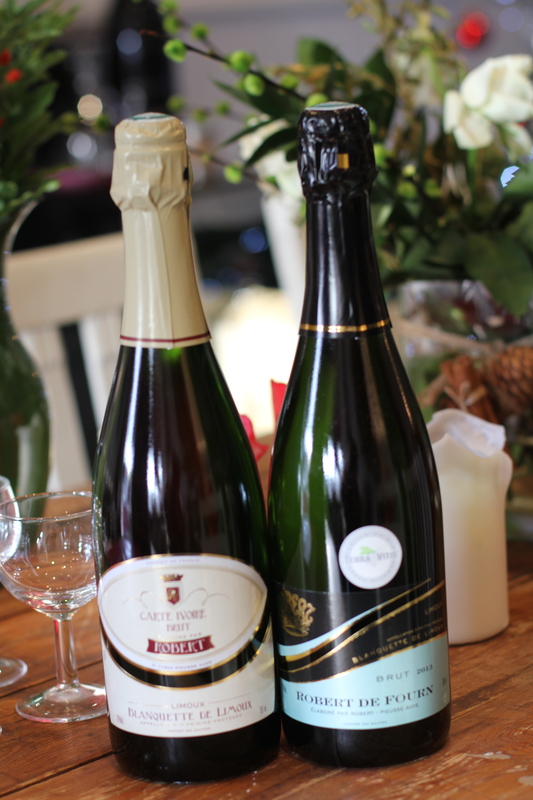 I have both the”Carte Ivoire Brut” NV and the ” Carte Noire 2013″ here in the shop,both very enticing and different wines and offerinf fabulous quality sparkling at the £14.75 and £15.00. 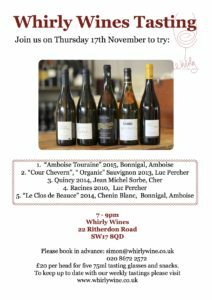 You cant go wrong with these wines if you want something a little bit different for a fizz on Christmas day and they are a lovely stepping stone from Prosecco to Champagne in terms of price. 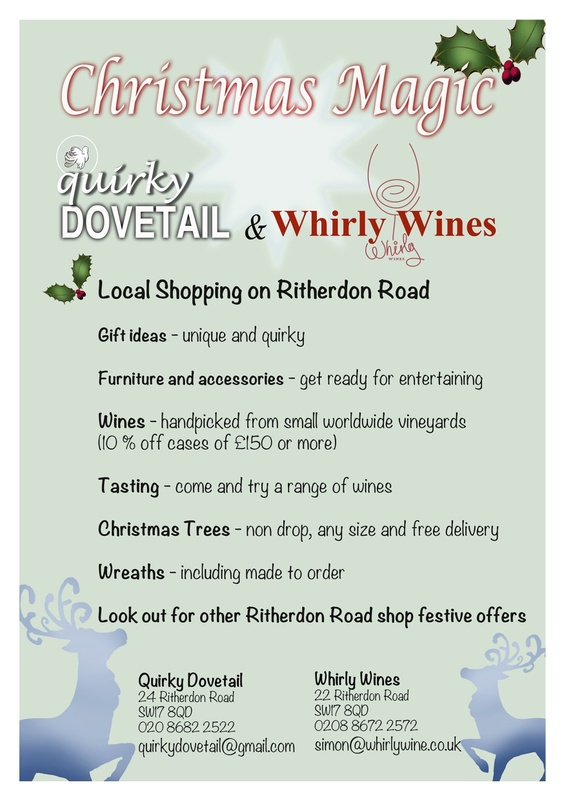 Come on into the Whirly wine shop on Ritherdon road and check them out soon…. 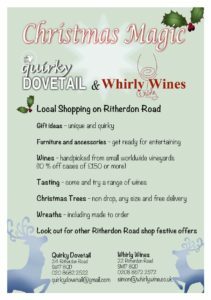 Whirly wine vouchers launched this week, the perfect gift for Christmas!! 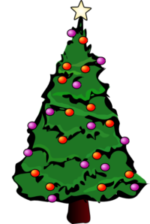 By the end of this week ( 18th December) on the penultimate week before Christmas you will be able to buy vouchers for wine tastings and wine online. 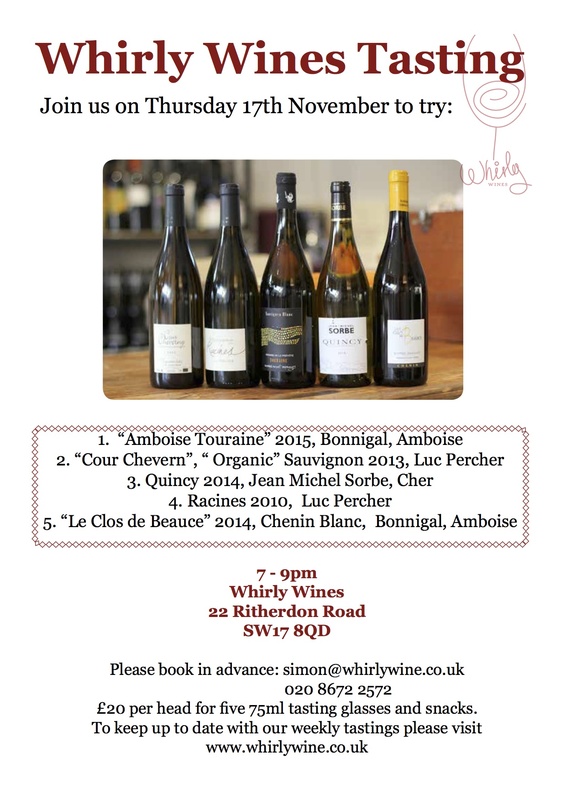 Its a simple and easy way to buy an experience, a personal tasting with Mr Whirly on a Thursday night or to buy wine to a value of £10, £20 and £50. 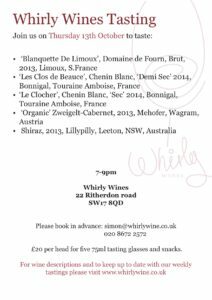 Please let me know on the order form if you would like to come in and collect the voucher or post it out to you when you make the booking and if you need the voucher as a gift I can write a suitable message on a Whirly wine postcard to go with the voucher. 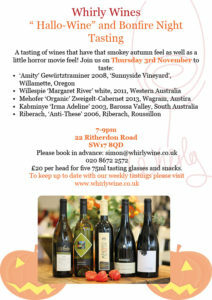 “ Hallo-Wine” and Bonfire night tasting!!! 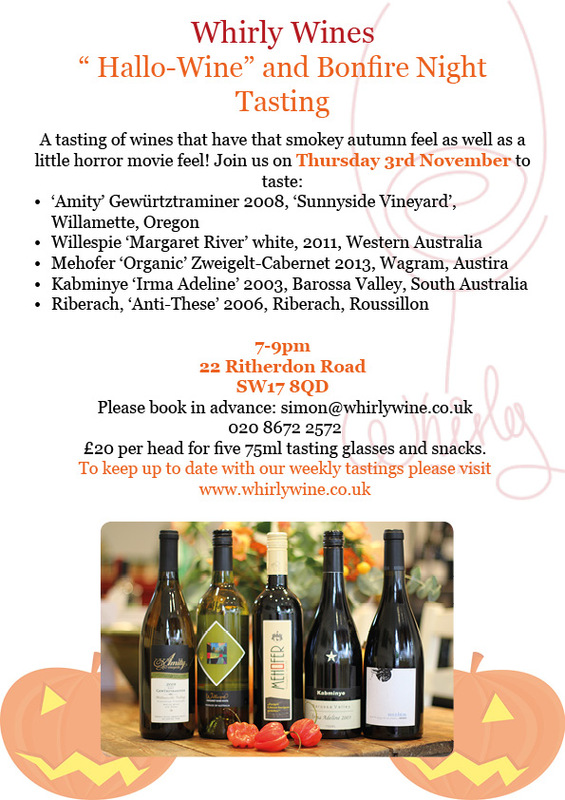 A tasting of wines that have that Smokey Autumn feel as well as a little Horror movie feel! 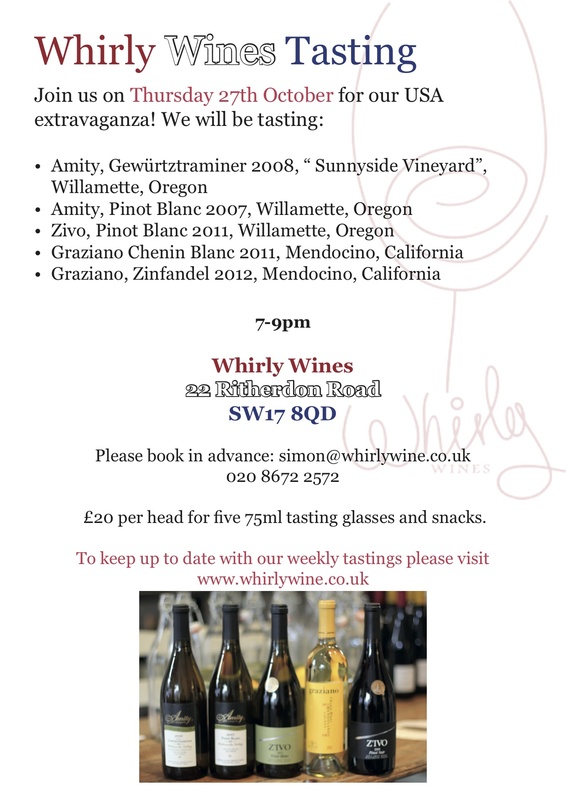 £20 per head for five 75 ml tasting glasses plus snacks. 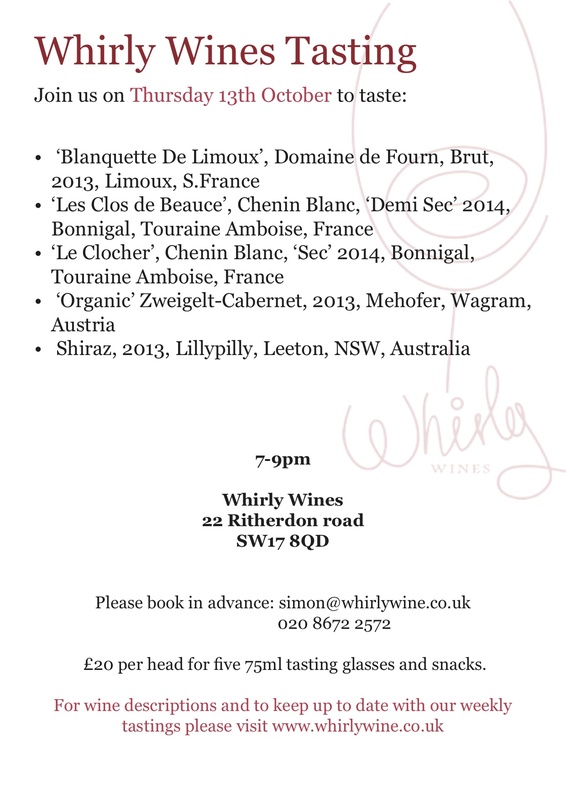 £20 per head for five 75ml tasting glasses and snacks. 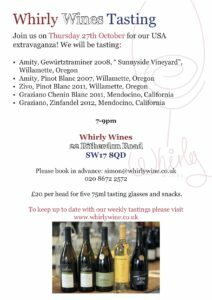 Whirly wine Tasting itinerary, 13th October 2016…..